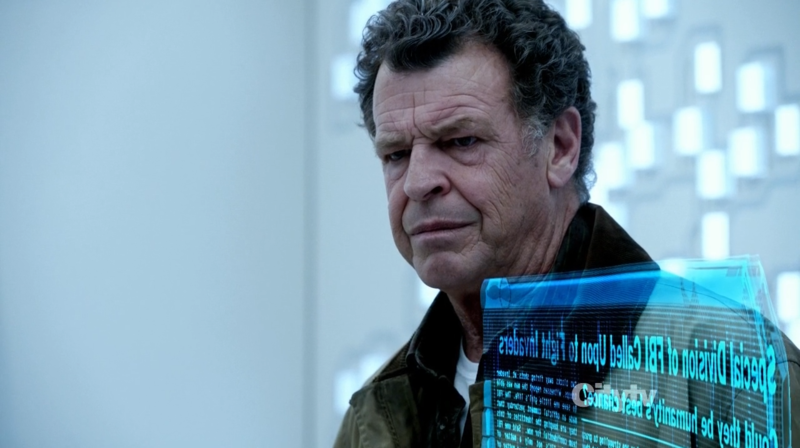 This week’s episode of Fringe takes a little step back from the action and uses it’s time to deepen out the background story of the world that has been taken over by the Observers. My first impressions were perhaps one of apprehension in that the story doesn’t move forward as much, but now that I have had time to reflect on the episode I have changed my mind. Just like in last weeks episode it is the small touches that really make an impression. Walter (John Noble) and Astrid (Jasika Nicole) use the makeshift laser to recover another tape from the ambered part of the lab. The contents point to a location in northwest Pennsylvania, though the instructions for what to do there are garbled. 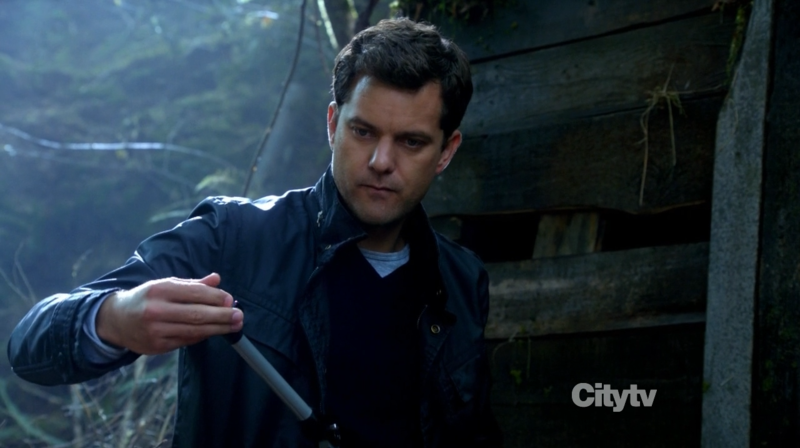 While Astrid stays behind to try to improve the tape’s playback, Walter, Peter (Joshua Jackson), Olivia (Anna Torv), and Etta (Georgina Haig) travel to the designated location. There, they find a small camp of human outcasts, all displaying splotches of bark-like material over their bodies. They are introduced to Edwin (Paul McGillion), the camp’s leader, that explains that their condition is due to some unknown agent within the area. The group consider themselves to be recorders of history ever since the takeover by the Observers as to prevent history from being rewritten by the Observers, and maintain a large number of data cubes containing whatever knowledge they can recover, including much about Fringe division. Edwin is unable to find information about Walter’s previous visit to the site, but Astrid is able to fix the playback enough to know that Walter must find a mine in the area, which Edwin identifies as an abandoned gold mine. 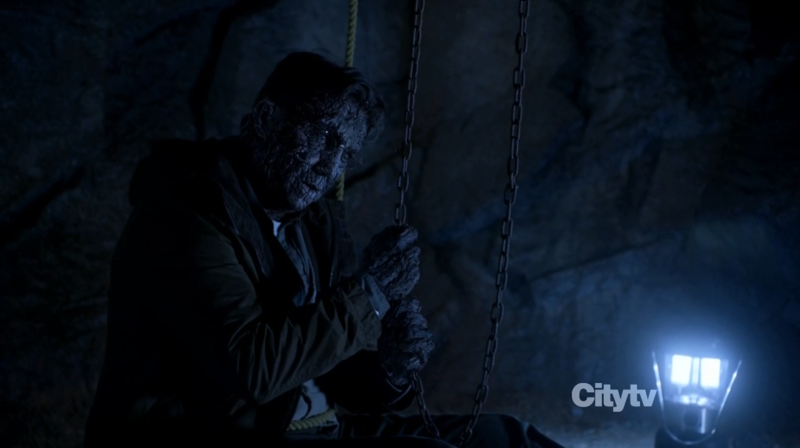 In the mine, they find a well; hanging from a rope is a corpse showing extreme signs of the bark infection, which Walter believes is due to something in the mine and evacuates everyone. In examining the body, Walter determines that the condition is caused by the Observers’ modification of the Earth’s atmosphere, the effects being diluted due to the remote location; the atmosphere in the mine accelerated the process, calcifying the body. Edwin discovered that, sometime in the past, the Observers took away a man that had gone down into the mine for red-colored rocks, which Walter suspects he needs to get and starts working on a suit to protect its wearer from the effects of the mine. Astrid, working with the tape, discovers that the rocks provide a necessary energy source for Walter’s plan. 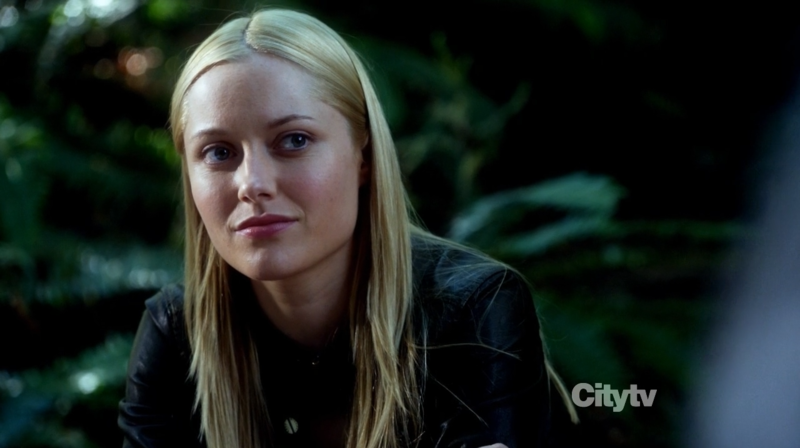 While working on the suit, Peter and Olivia discuss the events shortly after the Observers’ arrival, with Olivia revealing that seeing all the “missing persons” posters while they were looking for Etta had made her realize that her work with Fringe division in fighting the Observers was more important than getting Etta back. Meanwhile, human Loyalists discover evidence of the Fringe team, and report it to the Observers, who set off to capture the team; one of the Loyalists is actually a mole, and contacts the underground as to warn Etta of their approach. With time short, the only way to get the right materials for the suit is to barter with another nearby refugee camp, a step Edwin is reluctant to do and would rather see the Fringe team leave instead. However, Edwin’s son River (Connor Beardmore), who idolizes the Fringe team, accuses his father of never helping and runs off. Edwin realizes his mistake, and makes contact with the other camp, then later has a heart-to-heart with River about no longer just being a recorder of history but becoming part of it. Edwin gives Peter and Olivia directions to the other camp and bartering goods, but when they arrive, they find the spot empty, and Peter realizes it was a deception. Meanwhile, at camp, Edwin goes to the mine alone to recover the rocks; by the time Walter and Etta discover this, Edwin has been able to bring enough of the rocks out of the well, while his body succumbed to the calcification at the bottom of the well. As the Fringe team escapes with the mineral and return to the lab, abandoning their van to deceive the Loyalist forces, River takes over for Edwin as the recorder, writing a eulogy for his father. Conclusion; Olivia’s confusion about how to act around Henrietta is a little bit difficult to understand, I hope it won’t be repeated throughout the rest of the season. Paul McGillion’s appearance is OK but not as brilliant as his other television roles such as Stargate Atlantis. The plot often moved leaned on tear jerker scenes but they don’t get out of hand in the fashion that would make you skip a minute of the program. 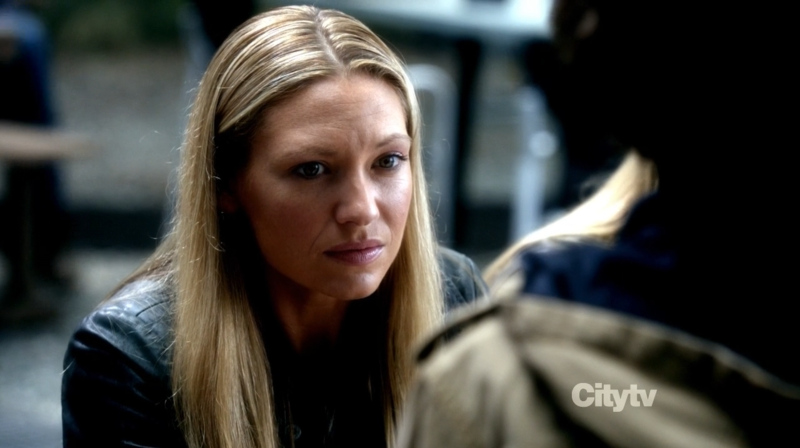 This season of Fringe also seems to take much inspiration from the Half-Life 2 setting, the dreary neo-futuristic background certainly gives this season much emotion. Both last weeks episode and The Recordist stand out because of their phenomenal cinematography. 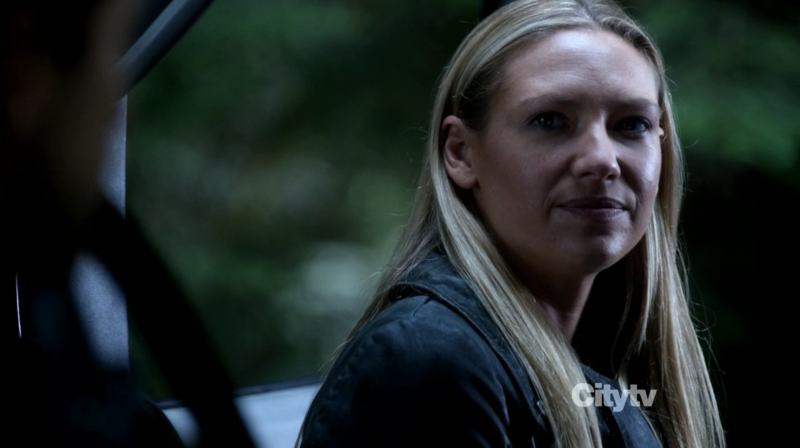 Not since season 3 have I liked the world of Fringe this much, in this season everything seems very crisp and almost real to the touch. It adds to the experience of watching the story, the 45 minutes allotted for each episode are sadly also over far too quickly. Score; 8.5 / 10. The standalone story holds the Fringe mythology back a little but it is still very good on it’s own. 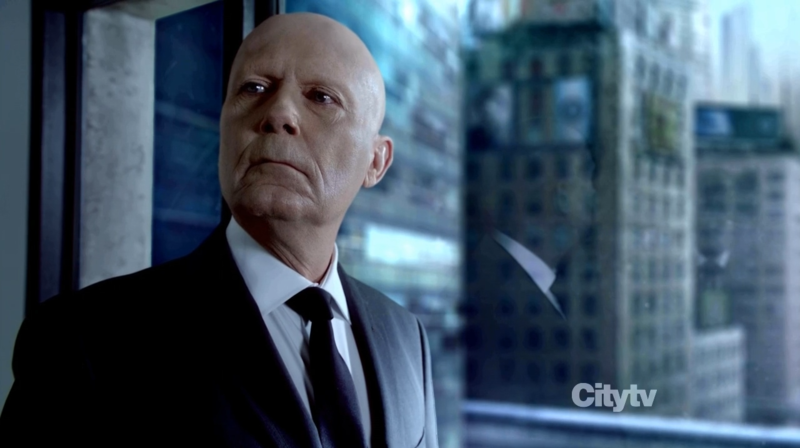 What’s the name of the actor who plays like the boss of the observers in season 5. Next story Defiance trailer online! Previous story Revolution ‘Soul Train’ Preview and ‘The Plague Dogs’ Review!